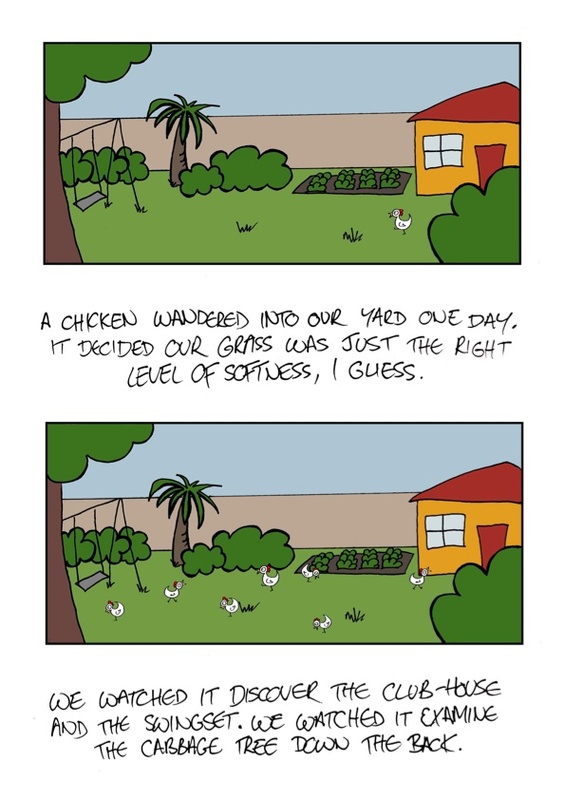 This is the original comic I did that inspired the name of this blog, inspired by a true story from a wonderful person. 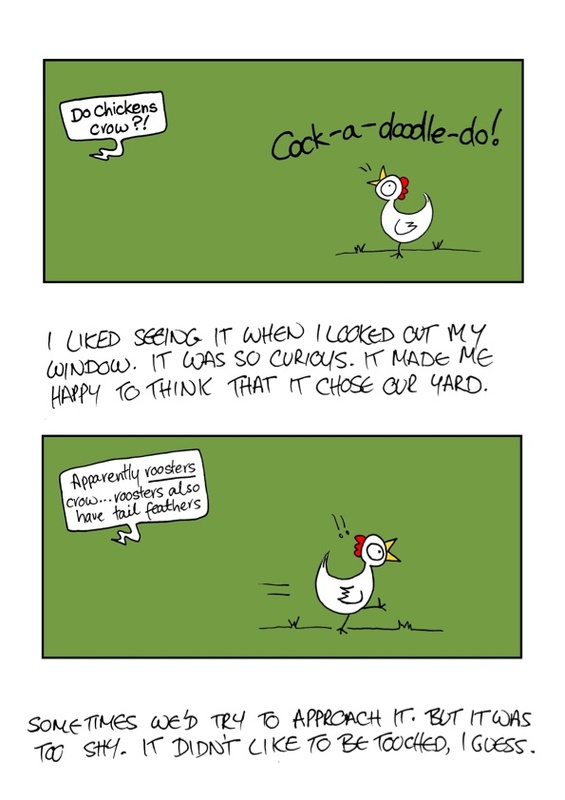 That’s definitely a blog-inspiring comic if ever I saw one. We had a minor drama here last year (2009! How new and exciting that that’s last year) when a loose chicken ran around the Parliament grounds. Haha that’s excellent! 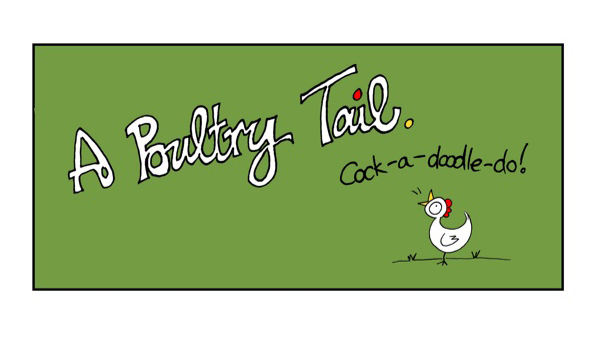 Did the chicken ever end up getting caught? 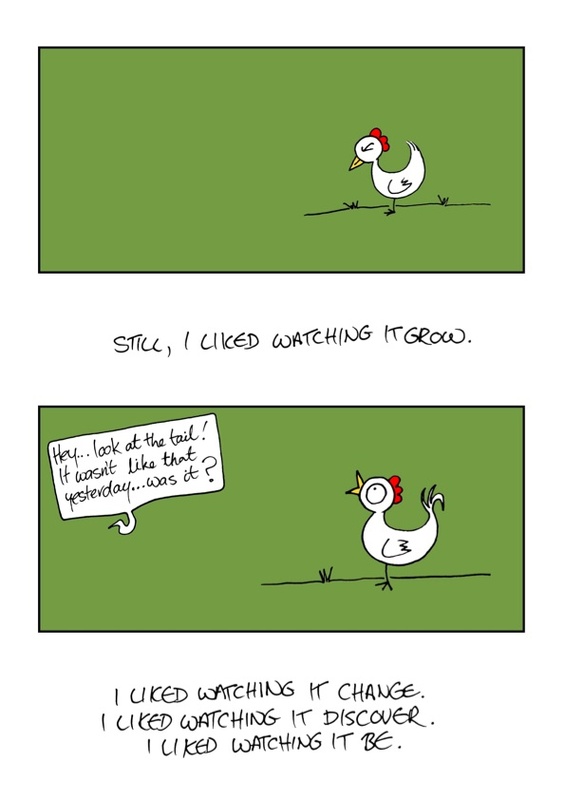 This comic makes me think of my very quirky little hen. They can’t lay eggs as a result of trauma and like to sit up high and squak, almost as if trying to crow.